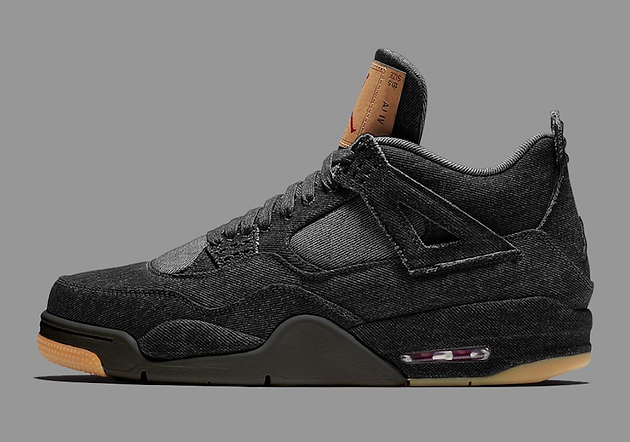 Apart from the initial Levi's and Jordan Brand collaboration releasing this month, we will see another pair of Levi's x Air Jordan 4 Retro in a Black Denim colorway! This Air Jordan 4 features a Denim constructed upper in Black, with a lighter shade of denim on the underlays for the extra contrast. Levi's branding can be found on the tongue label while red details can be seen all over the Air Jordan 4. A classic Gum rubber outsole is used to finish the Denim look of the AJ4! If you missed out on the release of the Levi's x Air Jordan 4 this month, you'll get another chance as the second rendition of the Levi’s x Air Jordan 4 is set to release in June at selected Jordan Brand retailers!